Resort in Bulacan, Jogima Farm resort is located at San Francisco, Tabang, Bulacan. One of the biggest and best resort here in area of Bulacan, this resort is ringed by fruit trees approximately 1.5 hectares and utterly blending tropical luster with old-world sophistication. It is also located near the historical Barasoain Church area which is a nice segway for a sidetrip if you visit Bulacan. You can enjoy and relax in their olympic sized swimming pool and a unique salt water pool. They also have the typical kiddie pools water that your kids will definitely enjoy the slides and have fun with water activities. Everybody can relax in our soothing and relaxing Spa and enjoy rounds of fire at Calibre Monte Carlo gun range. 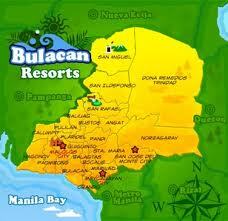 Have a good time your last summer vacatio.Plan a trip with family, friends and loved ones at Farm Resort in Bulacan. This resort is consider a whole day of recreation and fun for 30 minutes away from the Metro Manila. Have fun and enjoy. Farm resort of Jogima is just 30 minutes away from the Metro. You can reach the resort by commute or private vehicle. You can refer to the map below for directions or if you are commuting or driving, just follow the map guide provided below. Enjoy your summer hangout at Bulacan.